The Radio City Christmas Spectacular Starring The World-Famous Radio City Rockettes! 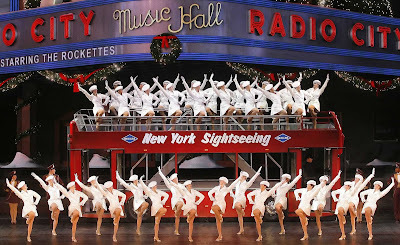 It's beginning to look a lot like Christmas in NYC with the store windows, lights and ice rinks all over, but for many, it just does not feel like Christmas until the lovely ladies of the world-famous Radio City Rockettes are doing their eye high kicks in the Radio City Christmas Spectacular! If you are one of those people then it is safe to feel like the holidays are here because the Radio City Christmas Spectacular opened on November 5th and will run until December 30, 2010. 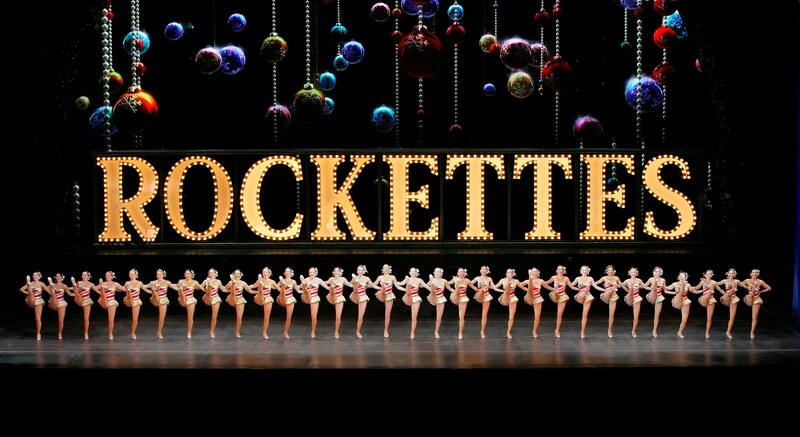 This year will mark year 78 for America's #1 Christmas show and will feature dynamic Rockette performances, breathtaking special effects, gorgeous costumes and astounding scenes. 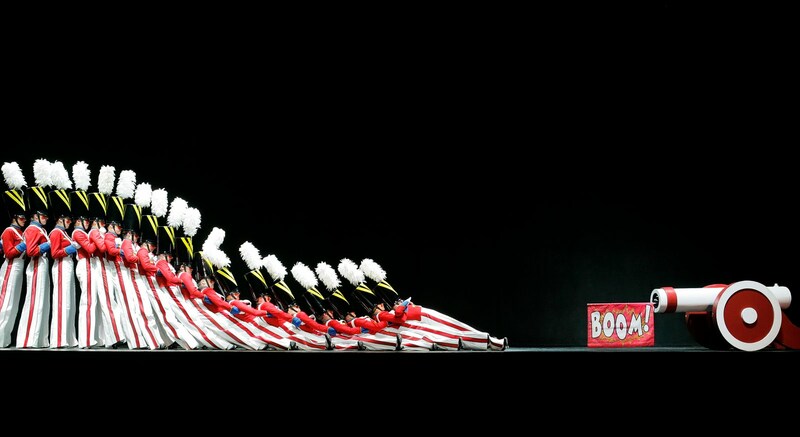 Above: The Rockettes slowly fall backwards during their famous "Parade of the Wooden Soldiers" routine that has been in the show since 1933! The 2010 edition of the Christmas Spectacular will include dramatic theatrical lighting effects, breathtaking imagery, flying characters and an array of glamorous costumes that only Radio City can deliver. 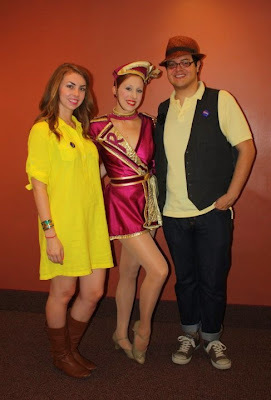 The entire look and feel of the Music Hall and the Christmas Spectacular will be very interactive as the show embraces its patrons and takes them on this magical journey. Production elements such as Santa flying over the Great Stage an actual double-decker gray line tour bus, fireworks and original content are created and enhanced to utilize the state-of-the-art technology from the world’s largest flying indoor LED screen. Their is even a 3-D film! Above: The Rockettes doing their world-famous eye high kicks in front of the world's largest flying indoor LED screen. I cannot wait to experience this show for the very first time! I feel like it is one of those things that you have to see and do a least once in your lifetime! I love the magic of Christmas and this show. The Rockettes and the Christmas Spectacular are such pop culture icons (you know I love pop culture) and I just know that I will be sitting there grinning like a kid opening presents on Christmas day. Be sure to check back next week to see OJ&B's official review of the Radio City Christmas Spectacular but for now OJ&B has a VERY SPECIAL TREAT FOR YOU! I appreciate my readers so much and I do everything I can to try to hook you guys up so OJ&B has a special promo just for you guys and gals! OJ&B is giving it's readers access to a special offer on tickets to the Radio City Christmas Spectacular! All you have to do is go to the promo site and enter the promotional code "KPACK" when you have selected your tickets! Have fun everyone! Click here to access the promo page for the special offer. *Photo Credits: All Photos with the exception of the last are courtesy of MSG Entertainment.